Interior Design IKEA Home Kitchen Planner : Feel totally confident about your new kitchen before you spend a single cent. 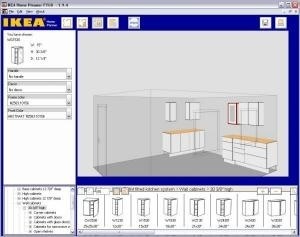 Simply enter the measurements of your current kitchen, then drag and drop cabinets into place. See your kitchen idea in 3-D view - try out different cabinets and doors without even getting out of your chair! The kitchen planner tool supplies you with a convenient and printable shopping list. 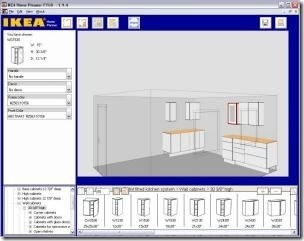 In some areas, it's even possible to save your design to an IKEA server, allowing you access to your plan on any PC with an internet connection. Get advice from friends, family and the kitchen experts at your local IKEA store.